Horses have been a part of human’s societies since domesticated by the Nomads more than 4,000 years ago. There is one species of domesticated horse with about 400 breeds. Horses hear, see and smell better than humans. They have a 360-degree range of vision and their ears can turn toward sounds, assisting their hearing. There are many wild or feral herds of horses in North America. 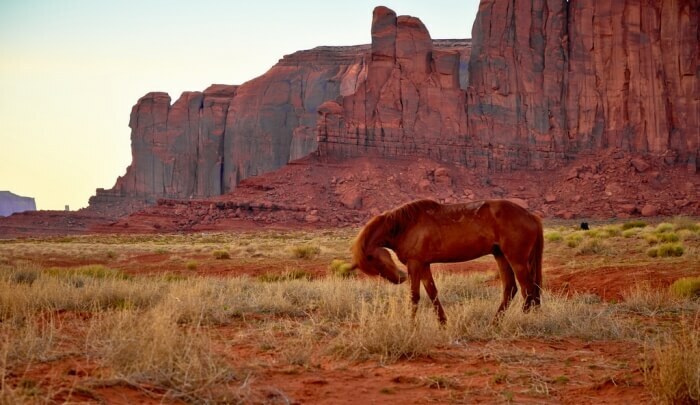 These herds are the descendants of once-tamed horses that have roamed free for generations. The Przewalski’s horse is the only true wild horse that was never domesticated. The last of these horses was documented in Mongolia in 1968.